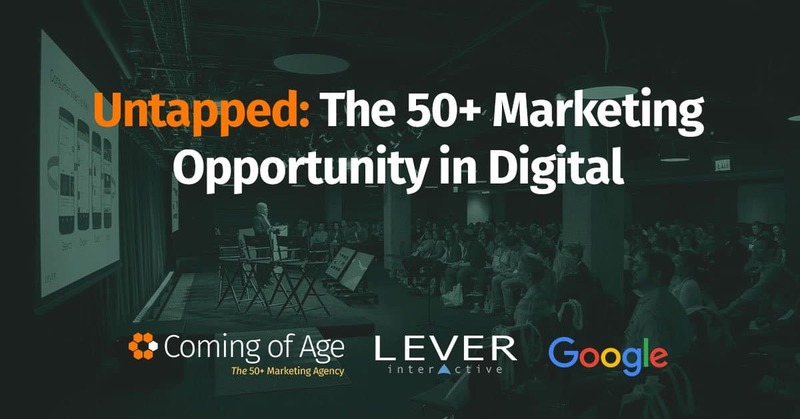 Coming of Age, together with Lever Interactive and Google, recently hosted a happy hour marketing event at Google’s Chicago office entitled “Untapped: The 50+ Marketing Opportunity in Digital”. Through presentations from Jim Gilmartin of Coming of Age, Adam Yellin of Google and Brian Yaro of Lever Interactive, we learned about the great potential this audience represents and how to effectively communicate with them. A video of highlights from the presentations is included at the end of this post. To find out more about Lever Interactive, please visit www.leverinteractive.com.